Canada's ambassador to Russia has returned to his post in Moscow, but diplomatic wrangling between the two countries continued with word that Canada's expulsion of a Russian diplomat Monday was in retaliation for a similar move by Moscow two weeks ago. The Canadian government quietly ordered a Russian diplomat to leave the country on Monday in retaliation for a Canadian envoy's expulsion from Moscow two weeks ago, sources tell CBC News. Meanwhile, Canada's ambassador to Russia, who was recalled by Prime Minister Stephen Harper more than a month ago to protest Russia's actions in Ukraine, has returned to his post in Moscow. According to sources, the Russian government requested accreditation for a handful of diplomats to come to Canada. The Canadian government denied the visas because officials did not believe they were filling the roles they claimed, the sources said. Following that decision, a diplomat at the Canadian embassy in Moscow was told by the Russians he was no longer welcome. On Monday, the Canadian government informed Lt.-Col. Yury Bezler, an assistant military attaché at Russia's embassy in Ottawa, that he has two weeks to leave Canada. The Russian Embassy's website lists Bezler as one of three defence attachés working at the embassy. The latest moves come after more than a month of diplomatic wrangling that included the recall of Ambassador John Kur from Moscow for consultations. Kur returned to his post in Moscow on Friday, Foreign Affairs said. 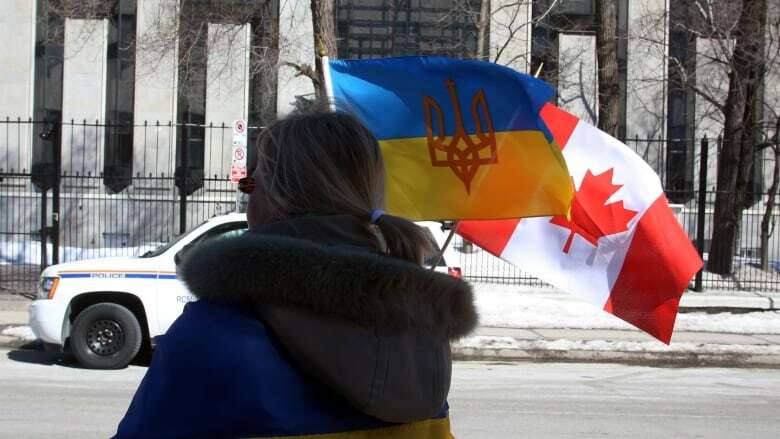 Adam Hodge, a spokesperson for the department, said Kur will "convey directly Canada's strong objections to the Russian Federation’s provocative actions in Crimea and elsewhere." 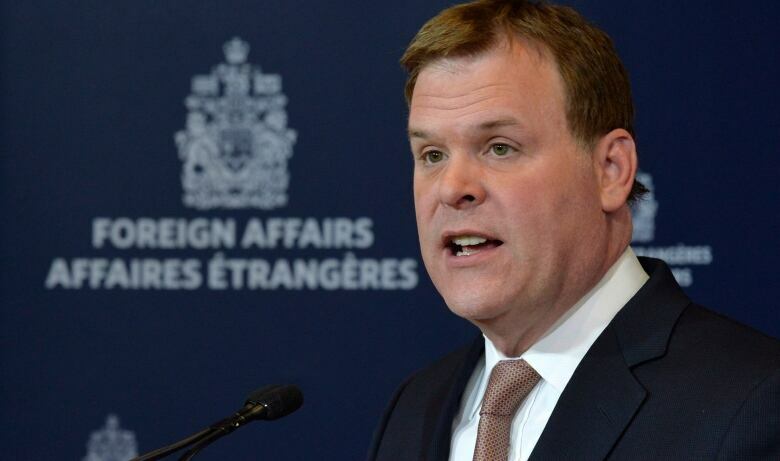 On Monday, Foreign Affairs Minister John Baird issued a statement condemning Russia's "provocative actions in Crimea and elsewhere" in Ukraine. "If this pattern persists," Baird continued, "Russia will continue to face increased isolation from the international community and suffer further serious consequences as a result of its action." The comments from Baird came after unrest flared once again in Ukraine. Pro-Russian demonstrators seized parts of the eastern Ukrainian cities of Kharkiv, Donetsk and Luhanskon Sunday. The protests have ignited concerns Russia will now try to annex those cities as it did with the Crimean peninsula. Sources tell CBC News no other Russian diplomats have been declared persona non grata at this time. In early March, Ottawa ordered nine Russians soldiers participating in military exercises in Canada to leave the country. A week later, Russian diplomat Andrey Gorobets was stabbed in altercation at an apartment building in Ottawa. Gorobets left the country shortly afterwards and a Canadian Forces reservist has been charged with aggravated assault.